Brittni has strong relationships with national and local print reporters, news producers and anchors in radio and television – she knows who to contact and when to contact them. Brittni also has a proven ability to pitch stories that result in positive articles for clients. Brittni has worked in media relations for 7 years, most recently for the Senate Committee on Homeland Security and Governmental Affairs. Brittni’s work has appeared in the Wall Street Journal, The Washington Post, The New York Times, Fox News, CNN, and MSNBC. Her work has also appeared in USA Today and on The Today Show with Megyn Kelly. Brittni helped to raise public awareness of “Right to Try” legislation to help terminally ill patients gain access to treatments. Through an aggressive earned-media campaign, Brittni was able to turn a little-known issue into a national campaign recognized by the Wall Street Journal Editorial Board. “Right to Try” legislation was signed into law on national television in May 2018. From 2016 – 2018 Brittni served as the primary spokesperson and media relations lead for the Majority of the Senate Committee on Homeland Security and Governmental Affairs. Brittni oversaw day-to-day media operations and secured frequent earned media opportunities on national TV, radio and print media for the Chairman of the Committee, Senator Ron Johnson, and other members of the committee. In 2015 Brittni served as primary spokesperson and media relations lead for Congressman Glenn Grothman during his first year in the U.S. House of Representatives. Brittni raised Congressman Grothman’s national profile by placing quotes in local and national news outlets, and securing TV appearances. 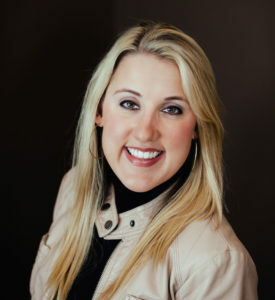 Prior to moving to Washington, D.C. Brittni worked on various political campaigns including serving as a media liaison at the Minnesota State Legislature for members of the House of Representatives. Brittni has an ability to form lasting relationships with media outlets, and secure earned media opportunities that provide positive results and increase the profile of the client. Brittni is a native Minnesotan and enjoys volunteering in her community spending time with her family in her free time.